With so many opposing beliefs, it’s no wonder people are confused and there are so many people out there drinking orange juice for breakfast! When initially talking about diet with clients, more often than not, the description of breakfast includes a glass of orange juice, accompanied by a look of glee that they are having something healthy that I will approve of. I’m not sure when orange juice began to be touted as a health food for breakfast, but in my eyes, it’s certainly not good for you – especially the highly processed type that hardly resembles orange juice at all. 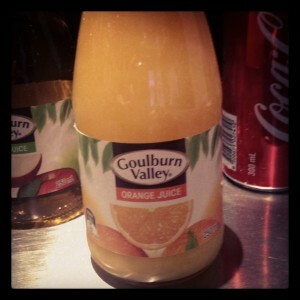 While you may not fancy swapping your orange juice for a capsicum/kale/parsley juice (yuk), consider swapping it for some lemon juice in warm water or a herbal tea – both much healthier options – and next time you think about buying orange juice to enjoy with your breakfast, have a read of the label to check exactly what it is that’s in that bottle of “orange juice”.